Directed by Ben Affleck. With Affleck and Alan Arkin. Opens Friday. As an actor and filmmaker, Ben Affleck has never been shy about portraying himself as a hero. 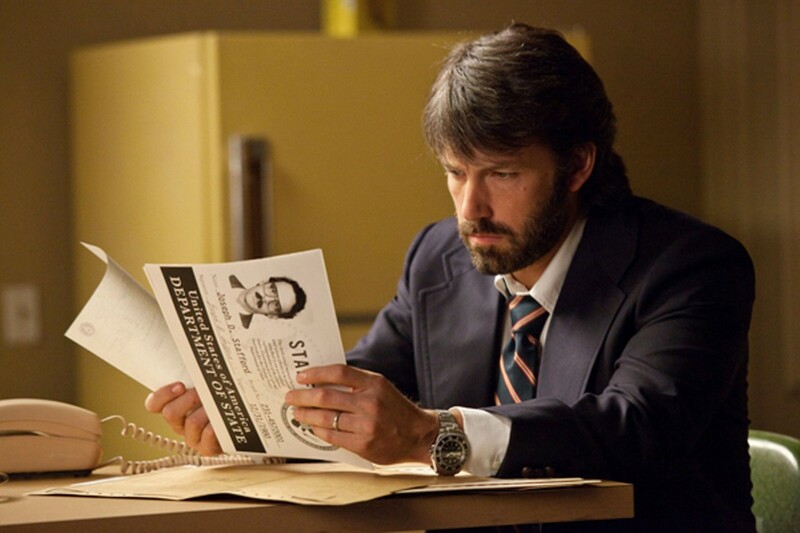 His new vehicle, Argo — a putative true tale from the background of the US-embassy-hostage crisis in Tehran, Iran in 1979-80 — ups the ante by having him portray a CIA agent who drops in with a crazy cover story and rescues six embassy staffers while making monkeys of the natives. In other words, it's the definition of far-fetched popcorn-patriotic heroics. How could this movie be anything other than an oddity? It was probably doomed in the concept stage. The six men and women who escape out a side door when angry anti-American crowds storm the US embassy on November 4, 1979 flee to a Tehran apartment and are hiding there when the CIA calls in Tony Mendez (Affleck), a shaggy-haired specialist in the art of "exfil," aka exfiltration, the military term for extraction, as in getting the escapees out of Iran past the violent Islamist revolutionaries who, perhaps justifiably, tend to view all Westerners as spies. After the usual inter-agency yazz-yazz, Tony's plan takes a wacky turn when he hits on the idea of posing as a Hollywood filmmaker scouting locations in Iran for an upcoming production (a sci-fi pic called Argo) in order to enter the country under the cover of the Canadian government, then to sneak the six frightened people out somehow. Real film folks sign on, including comic producers played by John Goodman and Alan Arkin, who comes close to stealing the movie (as usual) despite dropping from sight in the second half. Once Tony gets inside Iran and contacts the six, the ironic potboiler history lesson fizzles down to a race against the clock, with nonstop cross-cutting and unfortunately too few of the comic touches that made the similarly positioned Charlie Wilson's War so much fun. Director Affleck, working from a screenplay by Chris Terrio, adapted from a Wired magazine article by Joshuah Bearman, relies on the procedural action to carry the story home. It does, routinely, and once again the "Great Satan" triumphs. The apoplectic Revolutionary Guards may be ferocious, but they're easily deceived — as we learned when President Clinton, seventeen years afterward, declassified the mission's details in 1997. It might have been interesting if Argo had been made by an Iranian director, but the "fake movie" shenanigans would probably have never occurred to the likes of Jafar Panahi or Mohsen Makhmalbaf. Only an American could have baked that cake. 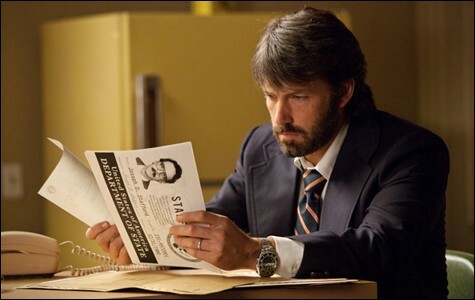 Argo is not showing in any theaters in the area.